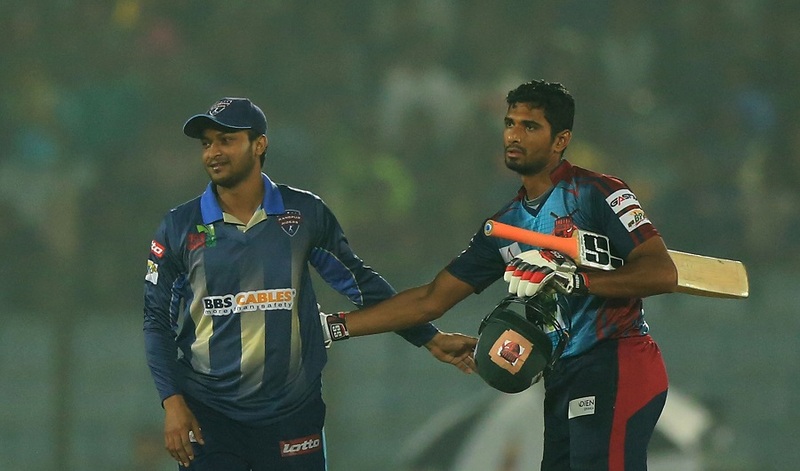 It was a satisfying campaign for Tamim the opening batsman, but not the the Chittagong Vikings captain. Chittagong were at the bottom of the points table in the league phase and there were plenty of cracks in their overall performance. Tamim, however, looked in control for most of his time at the crease. Two of his three fifties came early in the tournament, the best being the 69 against Sylhet Super Stars following an altercation with one of the Sylhet owners. Finished with a spectacular half-century in the final which had a big role to play in Comilla Victorians' title triumph. His 53 also made him the tournament's second-highest scorer behind Kumar Sangakkara. Imrul played in some of the toughest conditions in Bangladesh, and worked hard on transforming his game for the T20 format. A 28.36 batting average would not suffice usually, but in the Mirpur matches, he would have loved to have opened the batting on a firmer pitch. Was Dhaka Dynamites' one-man show with the bat, bailing the team out of trouble after early wickets in most matches. Only the two fifties do not reflect how difficult it had been even for Sangakkara to bat in the Mirpur pitches. He was nearly the specimen batsman for such conditions, and led a very inexperienced Dhaka side quite well despite finishing fourth. After three-single digit scores to start with, Jahurul ended the tournament as his team's second-highest scorer. More importantly, he looked like the most improved Bangladesh batsman, especially given the difficult batting conditions throughout the tournament. His 47 against Chittagong came in a strong opening showing with Soumya Sarkar, while the unbeaten knocks of 35 and 62 against Dhaka and Comilla helped Rangpur qualify to the last four. Mashrafe Mortaza was the inspirational captain who led Comilla to the title win, but Mahmudullah's leadership was discernibly more effective for his Barisal team. Barisal had a wretched time with the bat in the first leg of the competition but Mahmudullah batted well at that time. He ensured that their local players kept their head up during pressure situations, and helped get good performances out of Al-Amin Hossain and Nadif Chowdhury. Was a late inclusion in the Comilla side as they looked everywhere for an allrounder. Started well with the ball and slowly made his way up the batting order, but his bowling performance never dropped. His 17 wickets came at an economy rate of 4.78, and also made crucial contributions with the bat. He deserved the Man-of-the-Tournament award. Having landed from the USA on the eve of the tournament, Shakib started the campaign with two wicketless overs, but quickly took seven in the next two games - 3 for 23 against Barisal Bulls, and 4 for 16 against Dhaka Dynamites. Eleven more wickets followed in the next eight games. Shakib would have liked to make more runs with the bat, but as an allrounder, everything does not always have to go his way. Was his third BPL triumph as captain. Comilla coach Mohammad Salahuddin said that it was Mashrafe's unbeaten 56 against Chittagong Vikings that kick-started their campaign. His valiant captaincy, fielding and bowling off a couple of steps with a hamstring injury inspired his side. He was certainly a major force behind the eventual champions but knowing how gracious he is, it is unlikely that he would mind giving the captaincy reins to Mahmudullah. His campaign started with a bang - a four-wicket haul in the tournament opener. Amir ended up with ten more wickets and was one of the few bright spots in the Chittagong team. The captain Tamim Iqbal usually used Amir in two spells - two overs at the start, two at the end. Opposition batting line-ups knew what was coming, but still struggled to dominate him. The BPL was considered as Amir's first steps into making an international comeback, and he has given a great account of his bowling in this tournament. Did not have a great final, but can safely be called the first player to get his break from the BPL. 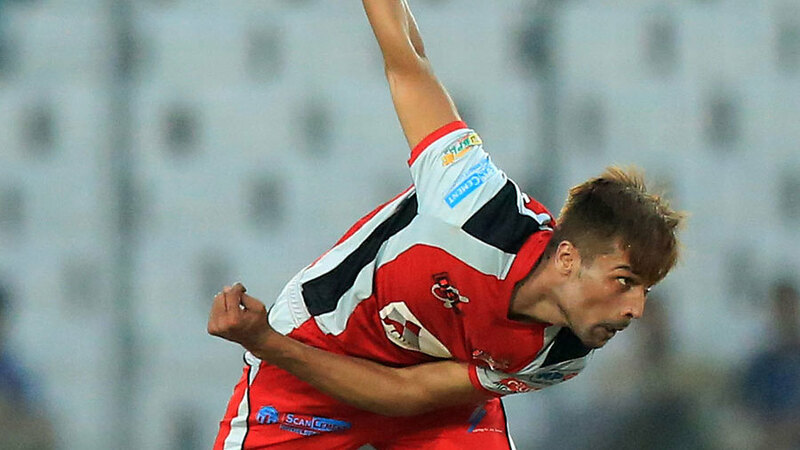 Hider took two four-wicket hauls, including in the first qualifier in which Comilla demolished Rangpur. His yorkers accounted for key wickets, while his change of pace, accuracy and control made him an all-round bowling package that Mashrafe used quite cleverly. Hider rarely took the new ball, and was most effective in the last four overs. Certainly one for the future for Bangladesh. Fifteen of Al-Amin's 17 wickets in the BPL came in matches Barisal won. His best performance was the hat-trick in his five-for against Sylhet Super Stars. The standout delivery was the hat-trick ball to Mushfiqur Rahim. Even in the final, Al-Amin supported Mohammad Sami and Kevon Cooper quite well, and he could be in line for a national call-up come the Asia Cup T20 in February.